Bayer Leverkusen midfielder Julian Brandt says "there will be no shame" in missing the final cut for Germany's FIFA 2018 World Cup squad, but is determined to make sure that does not happen. 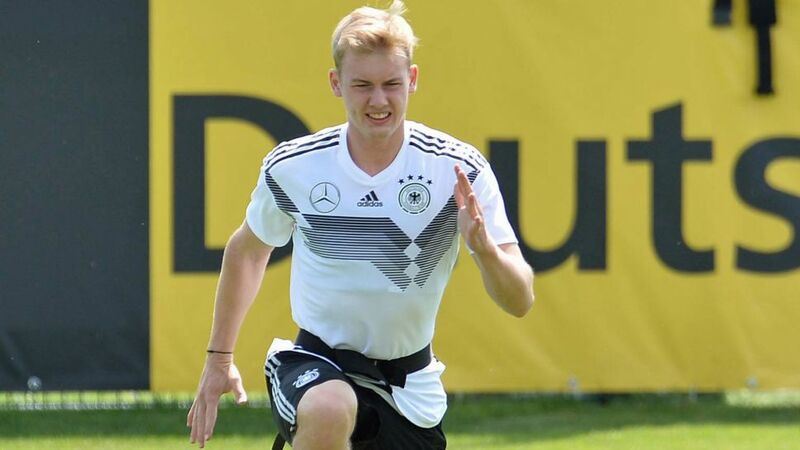 Brandt, who posted a career-best 12 goals and seven assists in all competitions in 2017/18, is currently being put through his paces along with the rest of head coach Joachim Löw's provisional 27-man squad in South Tyrol. The defending world champions face Austria in a friendly on 2 June, two days before Löw is required to submit his final 23-man ensemble to FIFA. "We've got so many good players," 22-year-old Brandt told kicker magazine. "I know how difficult it is to break through. There'll be no shame if I don't, but I guarantee I'll do everything to be part of it this time." Now a 14-time Germany international, Brandt was named in Germany's preliminary squad for UEFA Euro 2016, only to be cut from Löw's final selection. He was only 20 at the time, though, and believes he has improved significantly since. "I think I'm on the right path," Brandt said, having won Olympic silver in 2016 and played his part in Germany's maiden FIFA Confederations Cup triumph a year later. "Up until now, I've used those two years to develop, and I'll be going full throttle right until the final squad is announced. I can't do anything more than that." Click here for the latest ahead of Germany's World Cup defence in Russia!